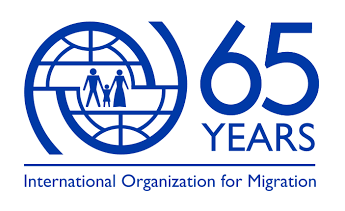 to ensuring the protection of people moving in mixed and complex flows along the North African migratory routes through innovative research and knowledge management activities, and by facilitating inter-agency collaboration. The Migration Hub (MHub) unit was established to work as a regional knowledge hub and as Task Force secretariat. MHub supports the production and dissemination of knowledge on the human rights protection issues faced by people on the move in North Africa for use by policymakers, agencies, donors, the public and academia, with a view to informing advocacy, policy and programme development. It fosters collaborative approaches among key stakeholders. MHub’s secretariat is hosted by RO Cairo. The successful candidate will work as the Secretariat Coordinator of the North African Mixed Migration Task Force. Under the overall guidance of the Regional Director for the Middle East and North Africa, and the direct supervision of the Senior Regional Liaison and Policy Officer, in close coordination with the Senior Migrant Protection and Assistance (MPA) Regional Thematic Specialist (RTS), Research and Data Unit, and relevant Project Managers, the successful candidate will report to the Senior Management Committee of the Task Force for the secretariat coordinator functions. Prior work experience with IOM and/or United Nations agencies would be an advantage. For this position, fluency in English is required (oral and written). Working knowledge of Arabic, French and/or Spanish is an advantage. Interested candidates are invited to submit their applications via PRISM, IOM e-Recruitment system, by 17 March 2019 at the latest, referring to this advertisement.